We recommend medical professionals talk through each case with our staff to best determine eligibility and fit. 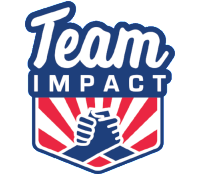 We encourage referrers to be involved in this process and welcome regular conversations with child life specialists, social workers, nurses, and other personnel to talk through each family that is referred to Team IMPACT. Call Us Directly: Call us directly to make a referral at 617-801-0286. Online Form: Fill out the Family Application or direct the family to do so on their own. 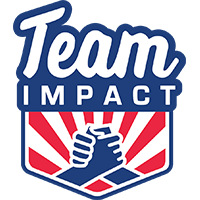 Fax: Fill out the Family Referral Form and fax it back to Team IMPACT at 617-801-8148. Once an application is received, a Team IMPACT Relationship Manager will reach out to the family directly.